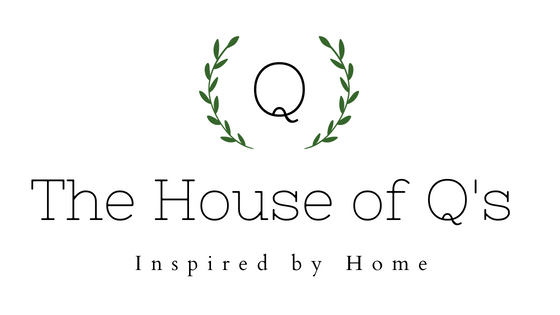 The House of Qs: Top Five Tools All Scrapbookers Need! This summer has been a blur and it's hard to believe we are at the end of July! The wedding countdown has gotten into single digits and Jade (as well as the rest of the family) is so excited! Do your days/weeks run together and you have a hard time keeping up? Mine sure do. It seems like every few days a big project or issue at work has presented itself or a necessary out-of-town trip has occurred. Summer has never been my favorite time of year (the heat, etc.) and I'm really looking forward to fall. Over the weekends and in the evenings during the week, I like to finish dinner, straighten the house and head to my craft room. The Quattlebaum Kids (Andy, Amos and Molly) are usually in tow and keep me company while I craft. 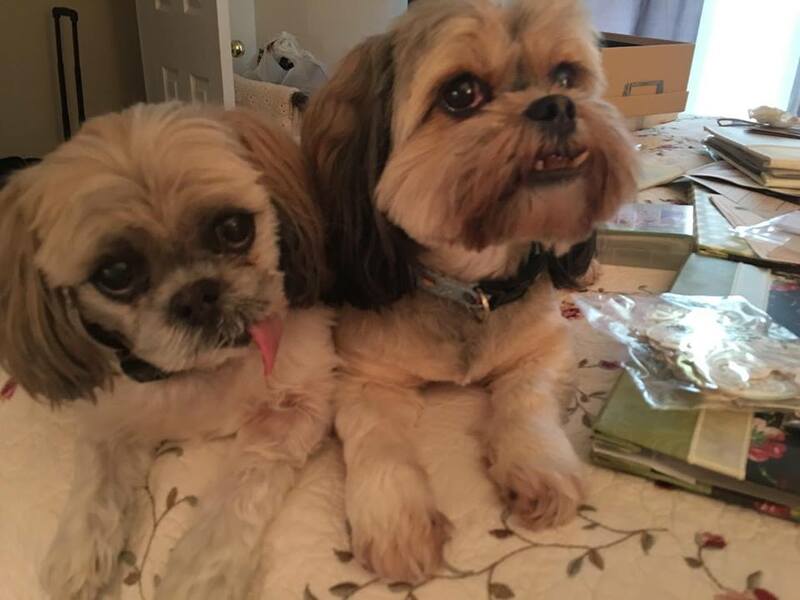 Here is a picture of Andy and Molly resting on the bed in the middle of my scrap booking mess. 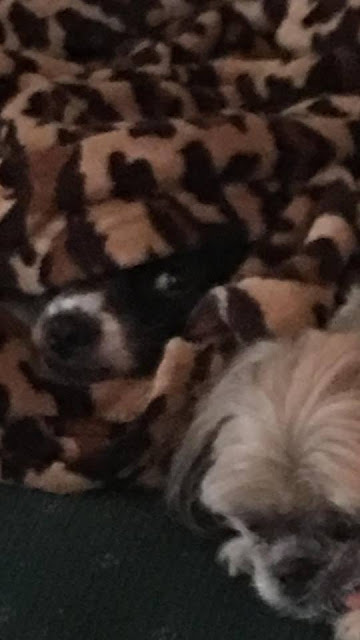 We have the cutest dogs in the world. Honestly, do they get any cuter or sweeter than these two? Just so Amos doesn't get mad or jealous of the shih tzus at The House of Qs, I have to share a picture of him too. :) Amos is our protector and our guard dog. 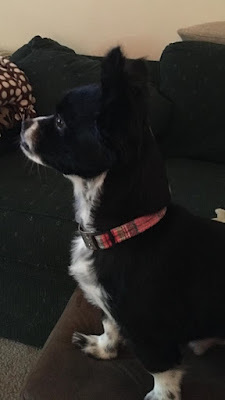 He is sure to notify everyone in the house, no matter the time of day if he thinks we might be in danger or if someone walks too closely to our house (like on the sidewalk in the neighborhood). He is always watching us and waiting for an opportunity to be the hero. Lately, I have really gotten into scrap booking and card making. I've always enjoyed doing this but more so recently, I've taken time to get into the smaller details of paper crafting. 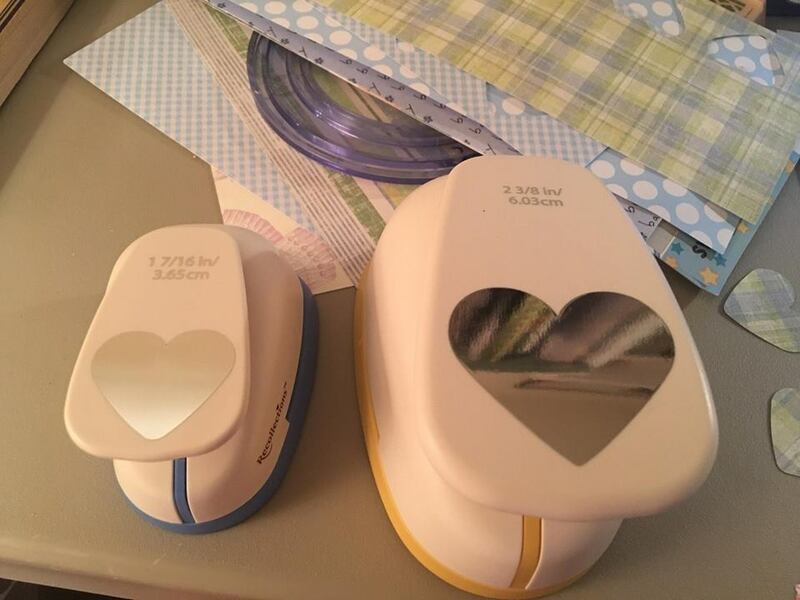 When I was working with my Cricut Explore last night I thought about the most used and critical tools that I go back to time and time again. If you haven't tried scrap booking and paper crafts, you should! It really is so much fun. 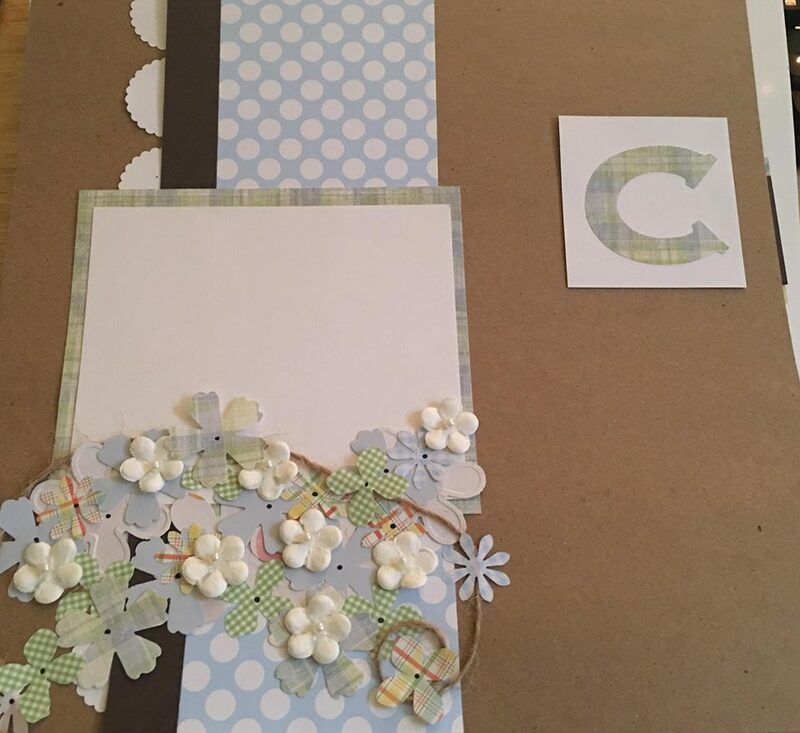 Depending on where you live, there are tons of scrap booking groups and parties for you to attend. 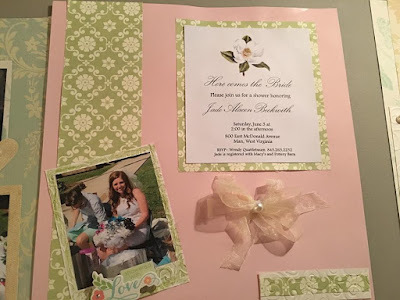 Our local library has scrap booking events a few times a month. 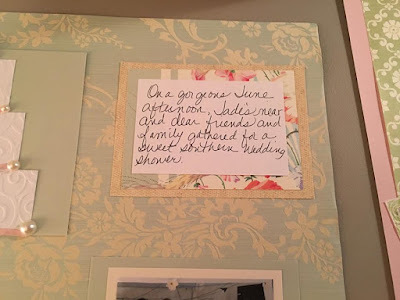 A lady I know actually gets a hotel room with a few other girls, they pack up their unfinished projects and take the whole weekend to work on what they enjoy most! I think it's great when women take time from their own lives and taking care of those around them and actually make time for themselves. I hope you try a new craft or hobby soon. It's rewarding to see a treasure that you make with your own two hands. It doesn't matter if anyone else likes what you make as long as it brings you joy and satisfaction. 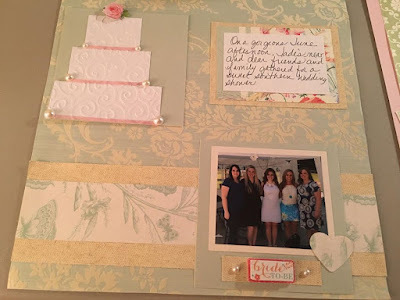 If you decide to try scrap booking or if you're already a pro, let me know what you think of my list of must haves that are below. 1. Cricut Explore Air Wireless Cutting Machine. I'm so lucky that my mother-in-law gave me this handy-dandy tool. I can't imagine doing my crafts without it. This puppy lets you cut fabric, vinyl, card stock, you name it! Photo is property and courtesy of amazon.com. Find the link to this product here. 2. Martha Stewart Paper Trimmer. This is a tool that I have used thousands of times. It's so easy to use and my paper comes out with perfectly straight edges every time. 3. Cricut Cuddlebug Embossing/Die Cut Machine. Instead of explaining how many things you can do with this little wonder, take a look at this video from May May Made It! 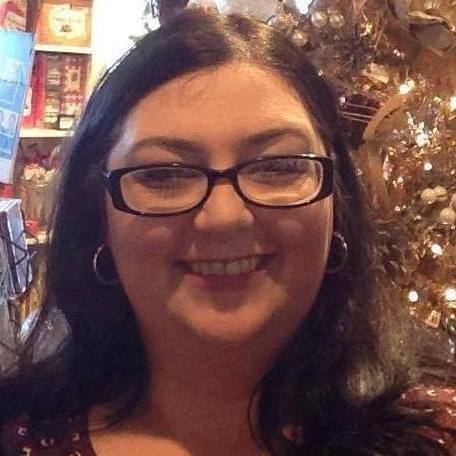 She has several detailed videos on how to get the most from your crafting tools. This photo is property and courtesy of amazon.com. Find the link to this product here. 4. Creative Memories Personal Trimmer and Round Custom Cutting System I am lumping all of these little jewels into one item because 1. I bought them together and 2. They are made to compliment each one another. I'm not joking when I say that I bought these tools about 15 years ago. The quality is amazing and I have gotten every penny of my investment back. Photo is property and courtesy of Creative Memories. Find the link to this product here. 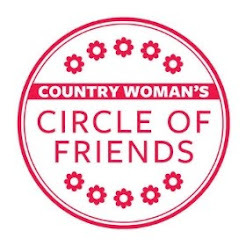 Of of the pieces that goes along with the circle cutting system is the 12 x 12 cutting mat. This item is also made by Creative Memories and may be purchased on the company webpage. You will also need the Red, Green and Blue Cutting System tools that go with the circle cutting system. 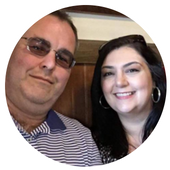 For more detailed information about how to use this system, watch this video from Creative Memories. 5. Double-Sided Scrapbook Adhesive from 3L. I've tried many different brands and types of adhesive and this is the best that I've found. The refills are very reasonable and last me for a month or so. This is easy to use and is comfortable in my hand. I never struggle to get the tape to roll. As you all know, my niece is getting married and I've had a ball making things and helping to celebrate. 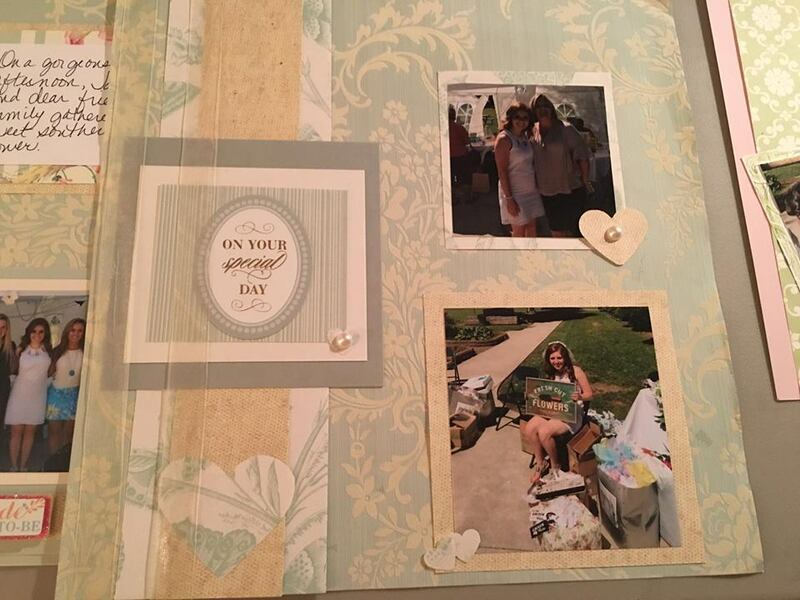 I've shared some pictures below of the scrapbook I made for her wedding shower earlier this summer. The materials I used to create the scrapbook layouts are all by Anna Griffin. My mother-in-law introduced me to Anna Griffin, her products and designs. You honestly can't find anything similar at your craft store and the quality of the paper and embellishments are top-notch. This is what I used for the front page. My niece, Jade is so pretty and I know she will be a beautiful bride! 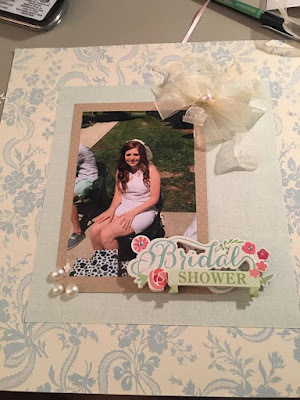 I wanted to include the shower invitation in the scrapbook. The bow on the page took a few minutes to make and I just added a large pearl to the middle. 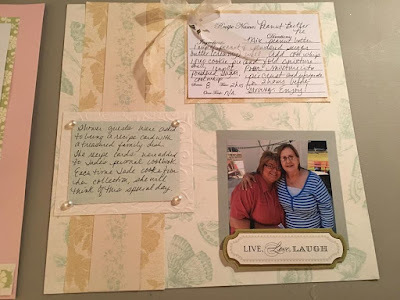 My go-to is Alenee's Tacky Glue for gluing larger items for any paper crafting project. 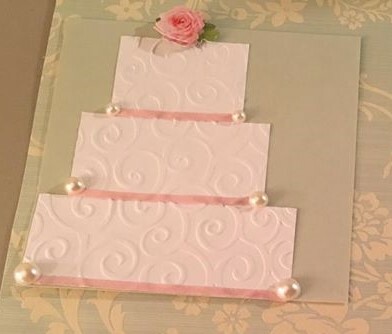 I got the idea for the wedding cake from Pinterest and finished it with ribbon, pearls and a small pink rose. To give the paper cake more detail, I ran the paper through my Cuddle Bug and embossed the paper. It was a must to include a picture of the bridesmaids who attended the shower. I'm looking forward to seeing everyone at the wedding in their dresses next weekend! Here is a close up shot of the wedding cake. 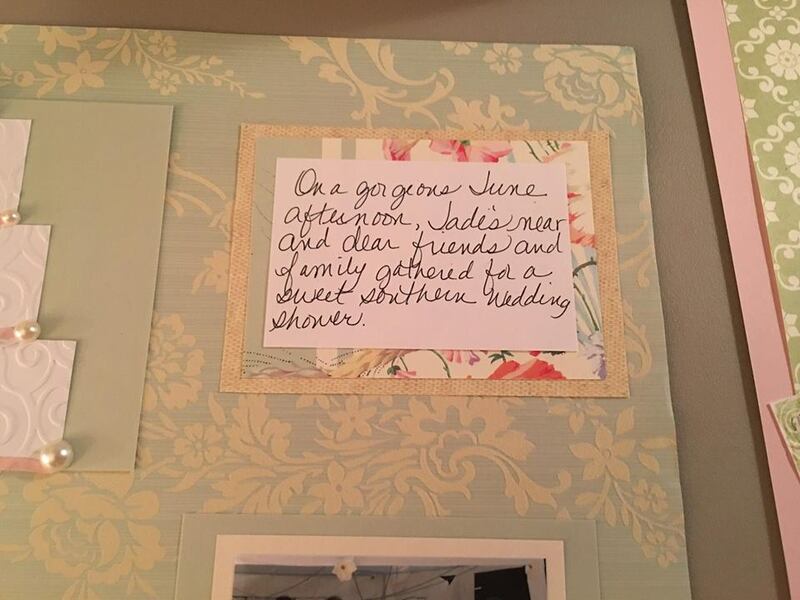 When I make a scrapbook, I try to include a few items that have my handwriting. Some of the most precious heirlooms that I have are hand written notes from my Dad and recipes from my grandmother and great-grandmother. I keep every card and note that people give me to! Handwriting tells so much about a person and it's an expression of love when someone takes time to write a personal note. I have two big tubs full of notes and letters from friends and family including Mom, niece and mother-in-law. Some of the notes are just a few lines and others are pages of letters. Every Christmas, thank you, condolence, birthday, etc. card that I get, I keep it. They really do mean a lot to me. The folks at Emily Post do a great job of explaining why the gesture means so much. You can't tell from the picture but the floral design on the blue pages is actually made of something that feels like crushed velvet. It's so plush and romantic. This page has several layers but it's not overwhelming. Sometimes less really is more. I used two different sized heart punches to add subtle hints of love throughout the scrapbook. These are actually from the Recollections Line of products at Michael's You can view all punches currently available in the Recollections Line here. The shower guests were asked to bring a favorite recipe to add to Jade's own recipe collection. I shared one of my favorites, Peanut Butter Pie. 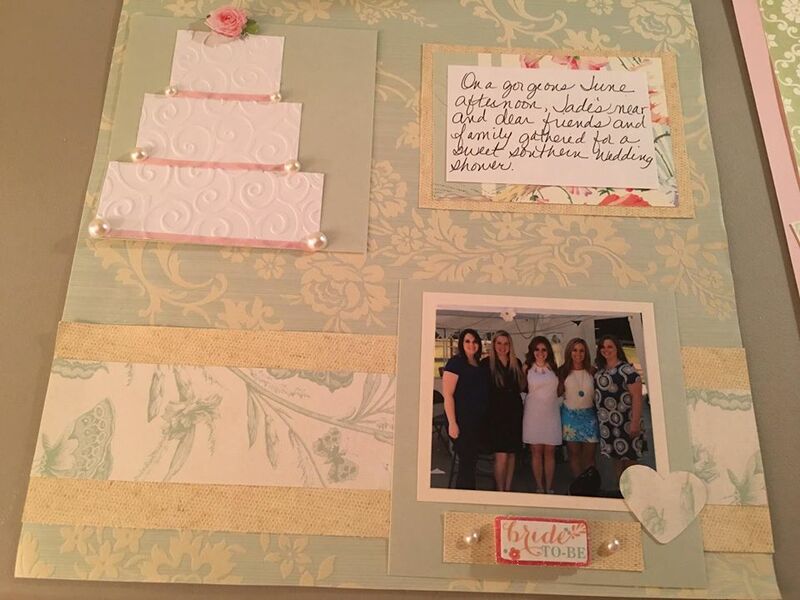 I attached a copy of the recipe to this page in the scrapbook and it's so easy! You can see the recipe here. 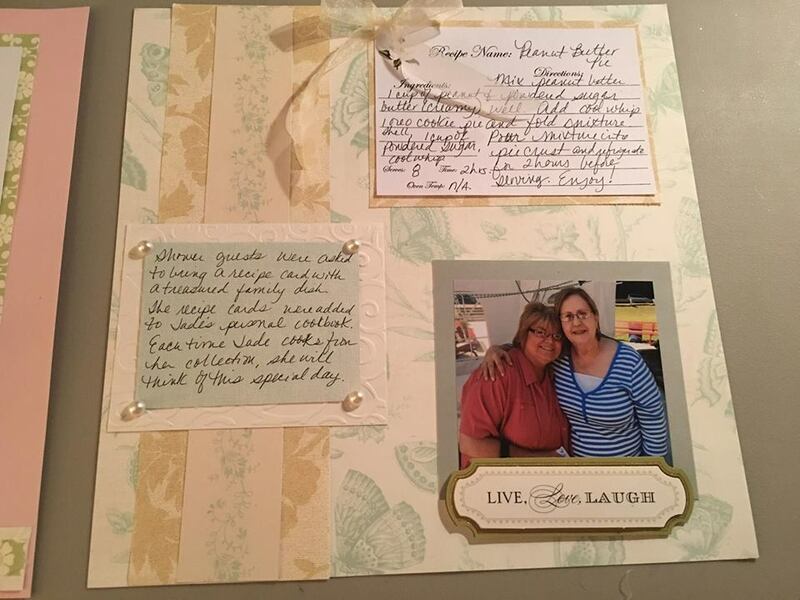 The picture of the two ladies is of my Mom and her dear friend, Mary Ruth. She and my Mom have been friends since 7th or 8th grade so that would make it almost 55 years that they have been friends! Who says friendships can't last a lifetime? Here are a few of the pages laying side-by-side to show how well the materials coordinate and tie the whole scrapbook together. 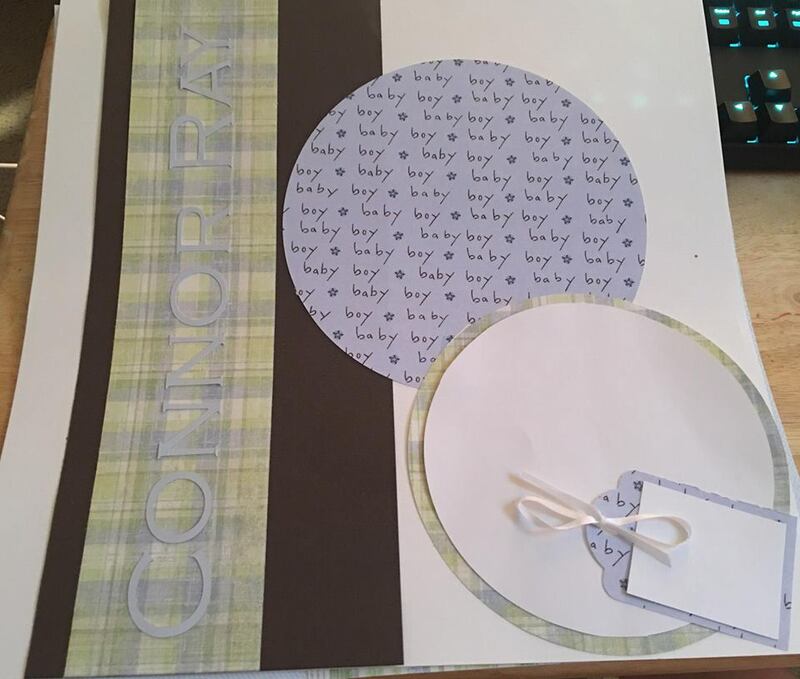 One last thing project that I'm currently working on is a baby boy scrapbook set. So many girls I know are having babies this fall! It's exciting for everyone and I love buying gifts for the little ones. 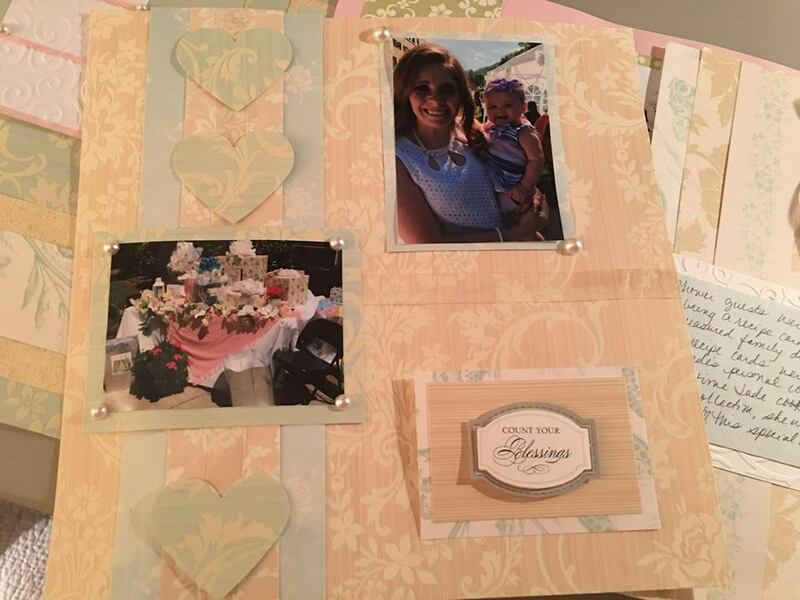 The first few pages of this baby scrapbook is shown below. After the baby is born, I will go back and drop pictures into the empty spaces. 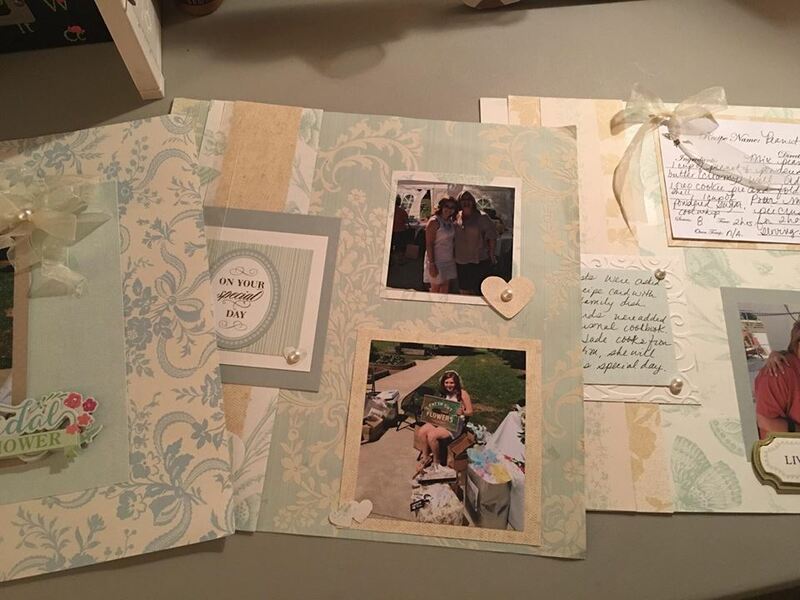 It's so much fun to make something that is one-of-a-kind! Please share your current projects and favorite tools!